If you’ve ever had to go through the process of moving into a new house, then you may be familiar with one of the tasks that come with the moving process: setting up Internet service in your new home. Most people just call their internet service provider (ISP), talk to the tech support department, and schedule a technician to come to their homes and take care of the entire set-up process. However, when talking to tech support, users may realize that they need to actually put some thought and action into their Internet set up instead of expecting their ISPs to handle every detail. Tech support representatives usually ask customers if they already have a modem, and if they don’t, the reps offer them the option of renting a modem from the ISP for a monthly fee in addition to their service fee. Customers who decide it would be more cost-effective to purchase their own modems must now select a modem that is compatible with the type of Internet technology the ISP provides, for example, DSL or cable. In addition, if they need wireless Internet access in their homes, which most people need, then they also need to determine what kind of router to get that will suit their needs, since some ISPs don’t offer routers for rent as they do with modems. A lot of Internet users hear the terms “modem” and “router” quite often, but they don’t necessarily know what the difference is between the two, nor may they know whether or not they need one or the other or both for access to the ‘Net. What can make things even more confusing is that there are also combination products out on the market that offer a modem and router together in one device, which some ISPs have also started offering for rent to customers. 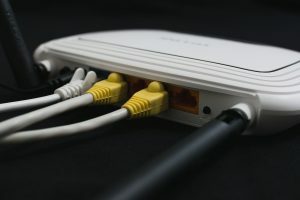 To provide some clarity, here’s a brief breakdown on modems, routers, hybrid modem-router devices, and why you may or may not want to use a two-in-one device for wireless Internet connections. Whether in a business office or a home, connection to the Internet starts with a modem. The modem is the device through which your Internet service provider grants you access to the Internet so that you can visit websites, download apps, and more. The modem connects your local network of devices, which can include computers, laptops, tablets, and smartphones, to the Internet. There are different types of infrastructures used to establish Internet connections, so the type of modem you need will depend upon the types Internet technologies your ISP uses to provide connection. For example, if your ISP provides DSL Internet service that operates through a phone line, then you will need a DSL modem. If the provider offers cable-based Internet, then a cable modem is required. If a line for a home or apartment unit is not established already, an ISP technician usually has to run a cable, DSL, or whatever type of required line outside the residence underground or aerially along telephone poles. These outside lines connect to cables that run through a wall inside the residence or to a telephone line cord linked to a phone jack on the wall. These cables or phone cords are plugged into designated ports on the back of the modem to connect your network to the Internet. Once the modem is properly set up and connected online, an Ethernet cable is used to connect the modem to a device like a desktop or laptop computer to provide wired Internet access to the device, or the Ethernet cable can be connected to a port on a router so that wireless Internet can be provided to all devices physically within range of the router through a Wi-Fi network. A router is a networking device that allows for the distribution of an Internet connection to multiple devices that are within close proximity of each other. It is the link between the modem and devices. Together with these devices, the router forms a local area network (LAN) and works by routing data from the Internet to the various devices and also by routing data between the devices so that they can communicate with each other. All of this routing is done over a Wi-Fi network, which the devices gain access to through password authentication if the Wi-Fi network is private. At first thought, most people will say, “Who wouldn’t want a two-in-one modem/router device?” Instead of buying a separate modem and router, they can save money by just purchasing one device. Also, instead of taking the time to figure out how to configure separate devices, especially if it requires calling tech support for assistance, users can cut their set-up time in half by following one set of instructions to simultaneously get the modem component and router component of one device up and running. However, if you’re an Internet user who wants control over his Internet connectivity and wants the best experience possible, then you may be better off keeping your modem and router on separate devices. By using a separate modem and router, you have flexibility and freedom in taking advantage of the latest features and technologies used in both routers and modems as they are released. For instance, trends in router technology tend to come about faster than those of modems, so with a separate router, users can easily upgrade to routers with advanced capabilities. One example would be mesh Wi-Fi routers, which are great for very large, multi-story homes because they extend Wi-Fi signals at greater distances and reduce the number of areas with limited or non-existent Internet access called dead zones. Having the router and modem separate from each other also makes troubleshooting an easier process if there are any technical difficulties. If devices in a local network are showing disconnection, for instance, it’s easier to check to see if an individual modem and router are connected and therefore isolate the cause than it would be to determine if it is the modem component or router portion of a two-in-one device that is malfunctioning. Whether they are wired or wireless, your Internet connections are constantly at risk of being intercepted and overtaken by cyber attackers who seek to creep into your computers, smartphones, and other devices for valuable information like credit card numbers, bank accounts, and proprietary data. Stay ahead of potential cyber threats with knowledge of cybersecurity and how Internet and networking technologies work. The best way to get that knowledge is to start with courses from Cybrary!